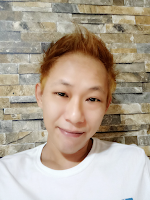 Says: "Start my new life all over again...."
Hi, my name is Benny, 39 male, chinese, singaporean. I'm not very friendly at first sight, but will be a good friend as time goes by. Today it's day 45 since she left me. Not just today, I missed her every single day. Benny Lum. All Right Reserved. Simple theme. Powered by Blogger.